Parents & Employers: Send the Flu Bug Packing With These Clean Air Tips! If you are a parent, you may be eyeing the fast-approaching first day of school with more than a touch of guilty pleasure. Finally, you can look forward to having some time to catch up on your to-do list sans kiddos! But the back-to-school season coincides with another less eagerly anticipated season for parents everywhere, and that is cold and flu season. It seems that the moment kids go back to school, the germ count spikes. The same holds true for employers struggling to hold together a skeleton workforce during flu season. Parents are not immune to flu germs, which they then bring to work. In this post, learn how to lower the risk of sick kids AND sick employees this flu season! Where Does Influenza (aka "The Flu") Come From? According to the Centers for Disease Control (CDC), influenza, or "the flu" for short, is caused by a virus. What is less well known is that there are different strains of flu virus. Some strains are quite mild, while others are virulent and can even be fatal. The flu virus is a respiratory virus, which means it attacks and impairs the function of a sufferer's respiratory system. For this reason, symptoms often mimic that of the common cold at first before they worsen to flu levels. Unfortunately, for the first 24 hours or longer, individuals often don't realize they are infected with the flu virus, but they can already infect others. For example, if your co-worker sitting one desk over breathes in the flu virus his first grader brings home, he can infect you a full day before he even realizes he has the flu! Then, if he comes to work even after developing flu symptoms, he can infect other co-workers for up to 7 additional days. This explains why the flu can so easily decimate classrooms and offices during fall and winter. You can start preparing your office and home now to make it much less likely that you will be infected by the flu virus in any of its various strains. 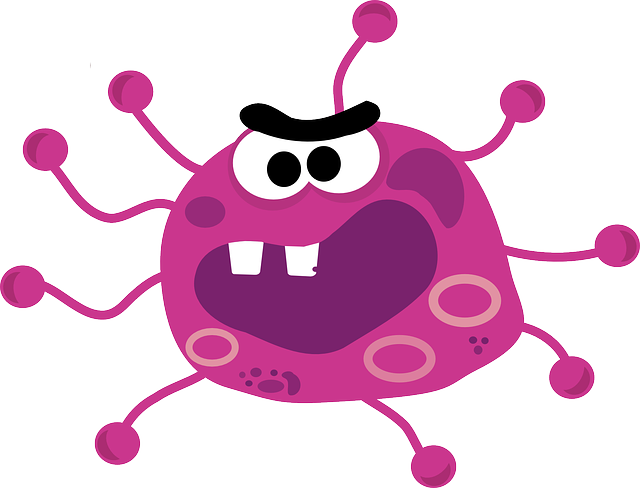 The key to evading the flu is to keep your indoor air as clean and germ-free as possible. Because the virus spreads by circulating through a shared indoor air supply, the cleaner your indoor air remains and the more efficient your filters are at removing toxins, the less likely you are to get the flu. The most effective tactic is to take preventative measures—starting now—to purify your indoor air both at home and at the office. These tips will help keep your indoor air at home and work pure and clean for your family and officemates to breathe. If you can't remember the last time you had your HVAC system's air ducts cleaned, it probably hasn't been done in a long time. This is especially true if you inherited your home or current office space from a previous owner or tenant. A professional air duct cleaning removes all of the packed, stored dust, debris, and toxins from your air duct system in one fell swoop. The effect on the purity and cleanliness of your indoor air supply is profound. The only other way to achieve a similar effect is to replace your entire HVAC unit and ductwork system! If you have been using the regular garden variety air filters for your HVAC system, cold and flu season offers the perfect time to upgrade to HEPA-rated air filters. HEPA (high efficiency particulate air) filters are the only filters of their kind on the market today that can filter out up to 99.97 percent of all airborne toxins, including flu virus germs. You can choose between several HEPA filtration systems, including single air filters, room-sized portable HEPA air filters, central HEPA filtration systems that work together with your HVAC unit, and even HEPA-rated vacuum cleaners. With an air purifier working together with a HEPA-rated filtration system and clean air ducts, it would take a mighty flu germ indeed to infect you! In the same way that you can choose between different sizes of HEPA filters, you can also choose portable or whole-space (home or office) air purification units. Best of all, the new breed of air purifiers are self-cleaning and self-maintaining, so once you make the initial investment, a limitless supply of effort-free pure air is your reward! Achieving a healthy balance of indoor air humidity can be of particular help to asthma sufferers during flu season. When the air gets too dry and the percentage of flu virus germs in the air rises, asthma-prone children and adults are not just equally likely to catch the flu. They are also much more likely to get a severe, extended case of flu. Keeping a healthy balance of humidity in your indoor air can provide some resilience in the face of the dry air of fall and winter that can cause wheezing, coughing, and decreased resistance to germs. If you are dreading the onset of flu season, we can help you guard against sick kids and sick employees. Contact us by phone at 905-544-2470 or online.